I am leaving South Africa on Election Day, and driving to the airport I passed lines and lines of people in front of the poll sites; they must have been hundreds and hundreds of meters long! What an incredible sight. 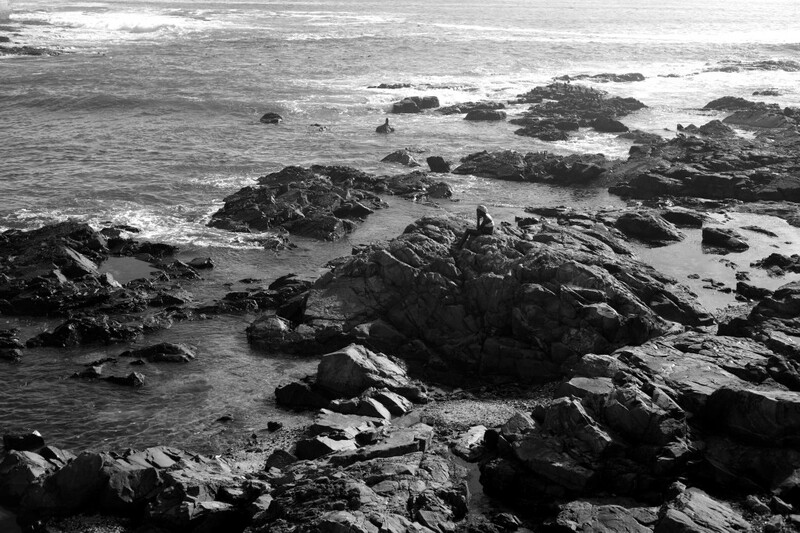 Then I decided to go and take one last glance at the ocean, where I saw this girl sitting on the rocks. In this fascinating, and sometimes disturbing, country full of diversity and contradictions, I met so many joyful, strong and dedicated people in the past three weeks. I couldn’t be more grateful for the moments, stories and images they shared with me. I experienced the great (and growing!) impact of astronomy on an entire community. Every day I photographed intensely, and I cannot wait to start working on the large amount of material I shot, which will be edited into a visual story. So long, “Rainbow Nation”! One day I’ll be back to see the elephants. Before I will be leaving South Africa tomorrow, German astronomer Christian Hettlage was kind enough to give me a tour of the headquarters of South African Astronomical Observatory (SAAO) in Cape Town today. 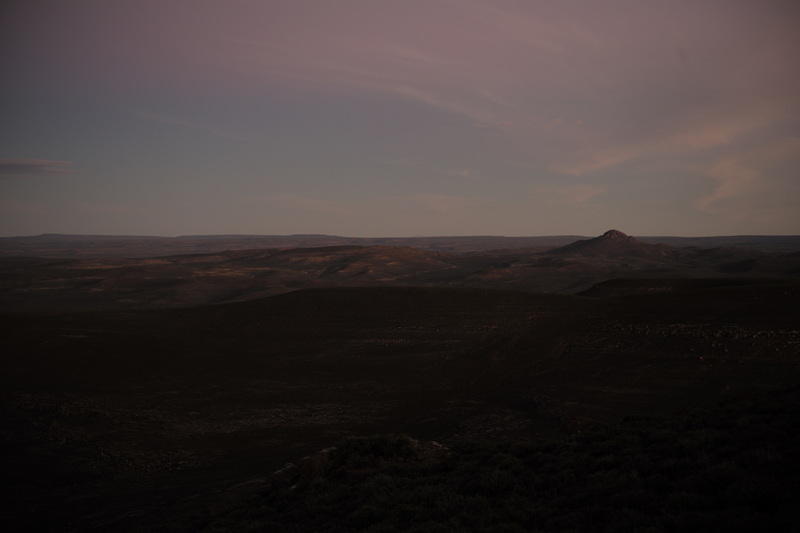 The organizational headquarters are located in the idyllic, green setting of “Snake Hill” in Cape Town’s district called ‘Observatory’, while the actual observations are being carried out at the Sutherland-site these days. The facilities in Cape Town was established in the 1820’s, with an Englishmen named Fearon Fallows to be the first main astronomer there. Astronomy’s main purpose at that time was to facilitate navigation at sea, which was a major issue especially here at the Cape of Good Hope, and the mapping of the stars promised to be of great help for shipping. Today is my last day in Sutherland. I will be driving back to Cape Town tomorrow (a couple of more posts from there!) and then, on Wednesday, fly home from there. 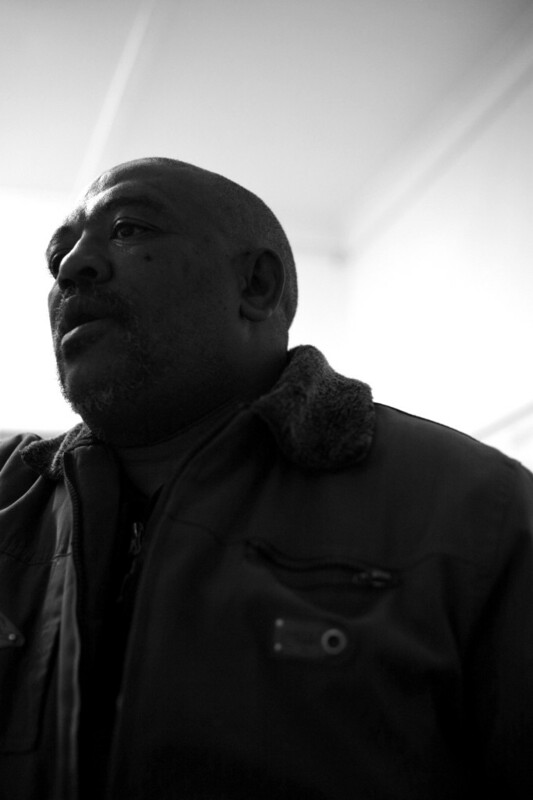 I spent two incredibly exciting weeks in this small town in the Karoo; it took a while until people got accustomed to “the stranger with the camera”, but then I was able to get quite close to the community. It was incredible to see how positively the presence of the observatory influences the community on numerous levels. It inspires people’s dreams and imagination – especially that of children and teenagers -, it brings tourists from all over the world to Sutherland and it made for many jobs throughout the community. Like Willem – Willem was born and bread in Sutherland under quite difficult circumstances. 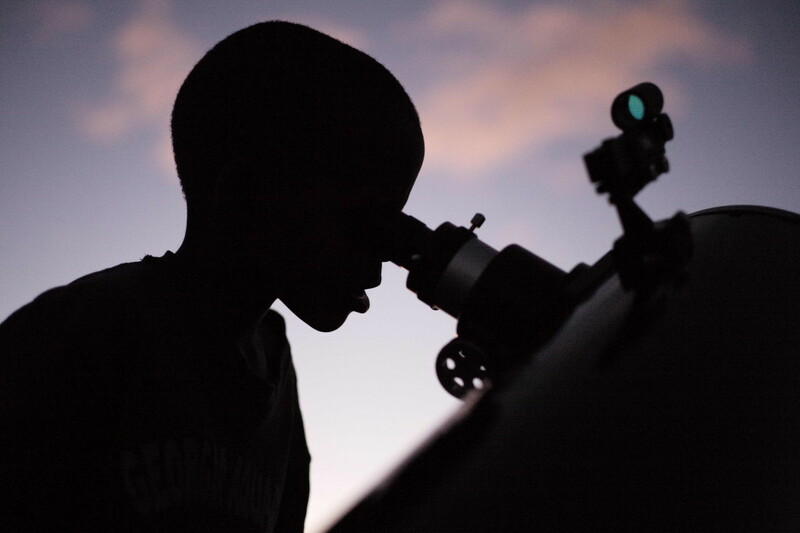 With no scientific or academic background at all, a few years ago he had the opportunity to take part in a learner’s program initiated by the observatory. When visitor numbers were getting bigger and bigger, the observatory’s staff could hardly handle the demand anymore – which lead to the idea of training local people to help out once in a while. 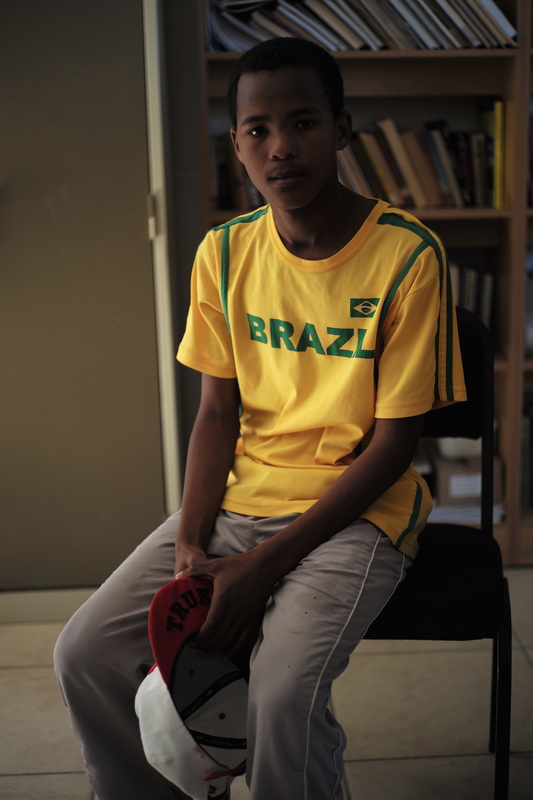 Willem was one of the trainees, and the passion for astronomy he developed in the course of that trainee-program resulted in a full-time job. He now manages both daytime-tours on site and nighttime stargazing-sessions with incredible knowledge and dedication. The weather is changing in the Karoo, and gusty winds drive massive clouds through the skies. 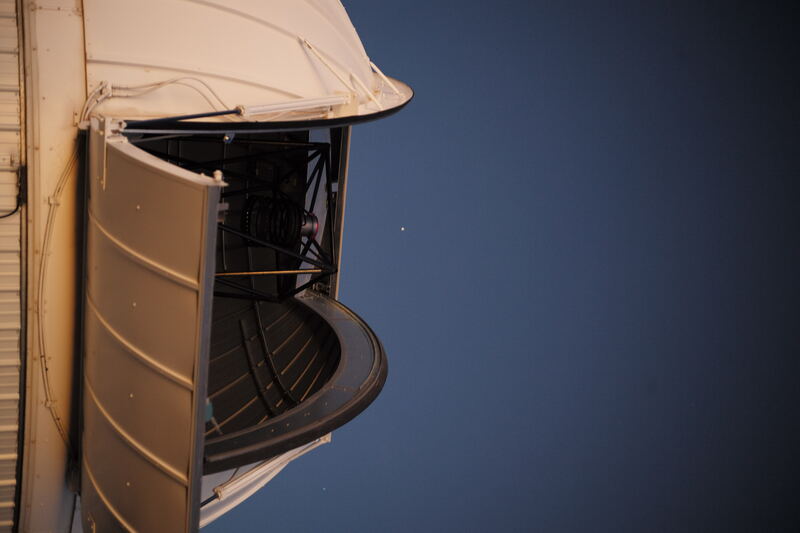 Winter is coming… Last night was clear still, and so I took the opportunity to spend one more evening at the observatory photographing the LCOGT-telescopes in the last light of day – just opening up and getting for observations. As astronomy is a very light-sensitive science, strictly no lights are allowed on site, and soon after nightfall you’ll be shrouded in complete darkness with only the stars illuminating the night sky. When I was done taking pictures, I took part in one of the public stargazing-sessions that the observatory offers to visitors four times a week. Two large optical telescopes point to all sorts of targets (stars, planets, galaxies and nebulae) – supervised by a highly knowledgable tour-guide. 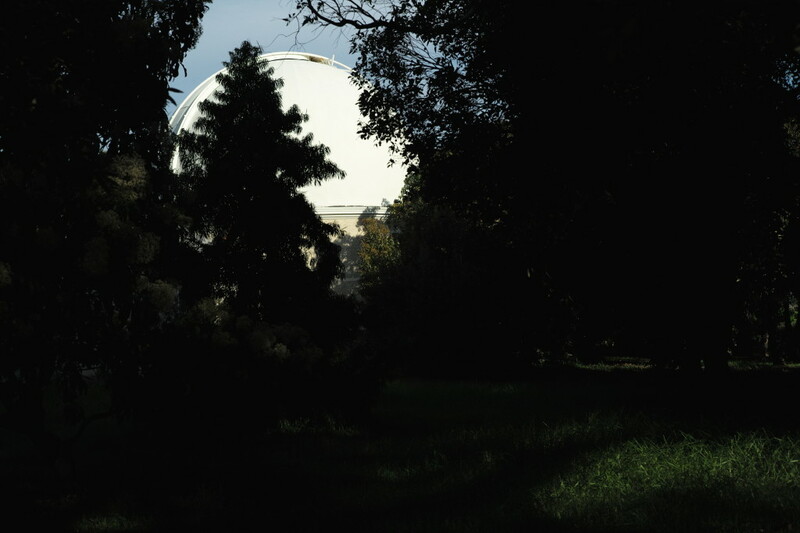 In the last few days, I had the chance to photograph at the actual observatory-site, which normally is closed for visitors after nightfall. Due to no light pollution (Sutherland, the only town around, is 14 kilometers away), this particular region has some of the darkest skies in the world. What a magical place in the middle of nowhere! 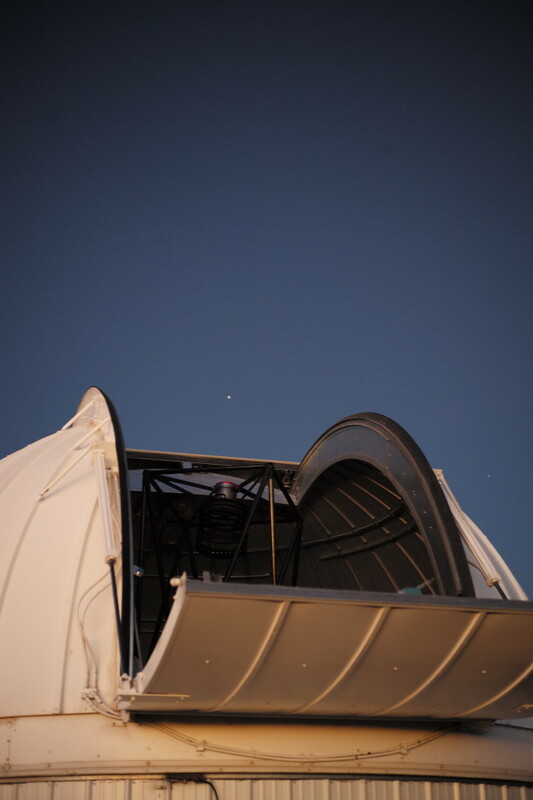 I got up there just before sunset last night, and took this picture in the last light of day – just before the Milky Way appears on the night sky like a solid white ribbon and the sharp eyes of the telescopes take up their incessant work in time and space. May 1st is a public holiday in South Africa, and after long days of photographing in the last – and the next! – few days, I took the time this afternoon to edit some of the material thatI shot so far. Following up on the post of April 29th, here’s another image of the “kite-flying / stargazing”-session a couple of days ago. I am so thrilled by the idea behind the event (as well as the event itself!) that I would like to share another image from that special evening.